They say nothing last forever, well some part of it is true and the other part of may not. But in business, that phrase may generally apply to all of their tangible assets. In the world of business, the term depreciation is not new to them, maybe because they always come across with that term. One of the main concerns of every business is that how their tangible asset or capital assets will depreciate over time. They must study it very carefully because they can get a good and bad benefit for it. And that’s where the depreciation schedule example comes in handy. 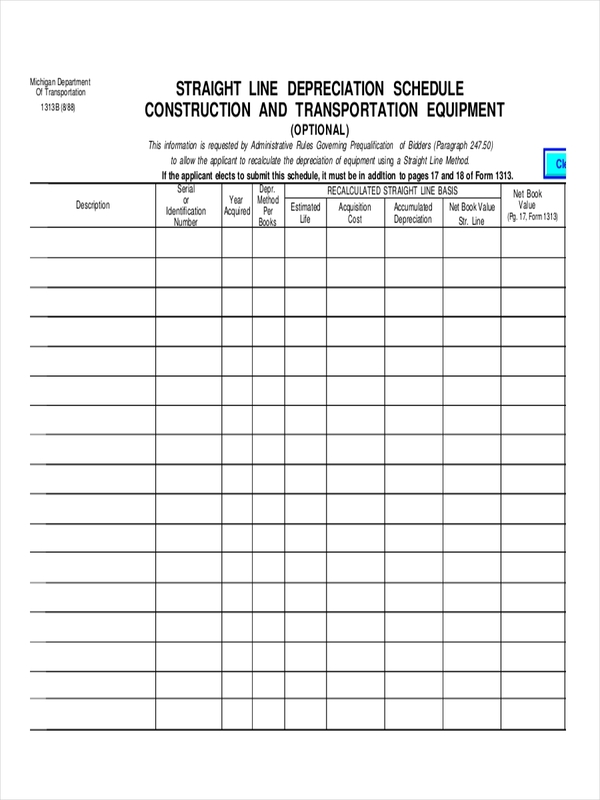 A depreciation schedule is a table where it breaks down the long-term assets of the company. One of its main function is to calculate the depreciation expense for each asset. 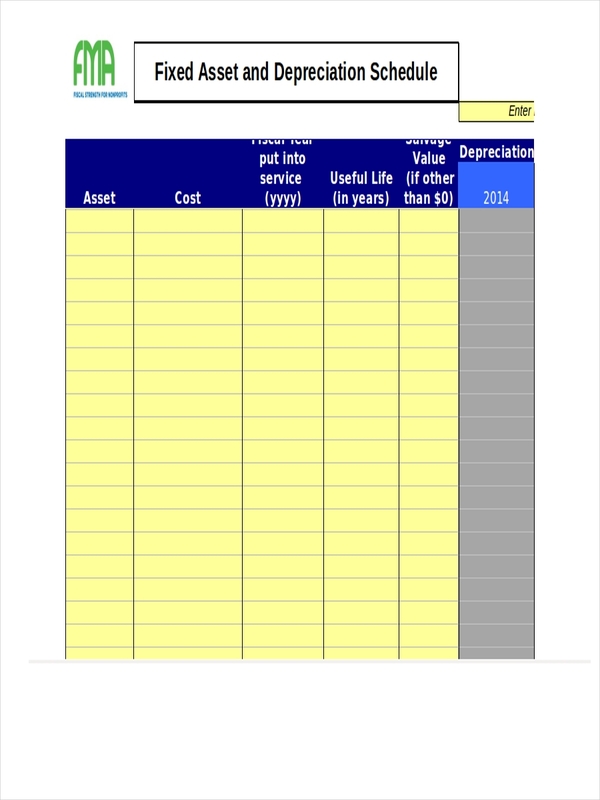 After the asset is calculated, the depreciation schedule then allocates the cost of each asset over the useful life. 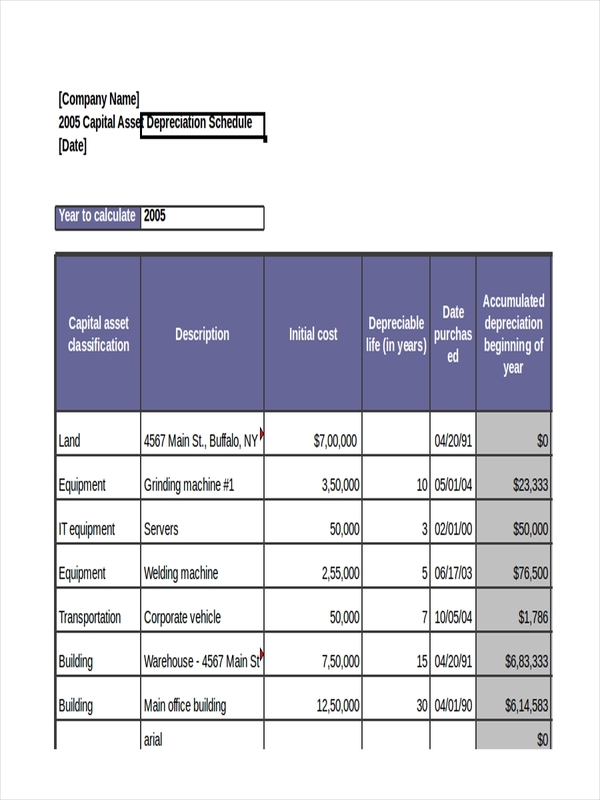 The blank schedule is not only used to calculate the depreciation expense, accountants use this schedule to track their long-term asset and to study how these assets are going to depreciate over time. 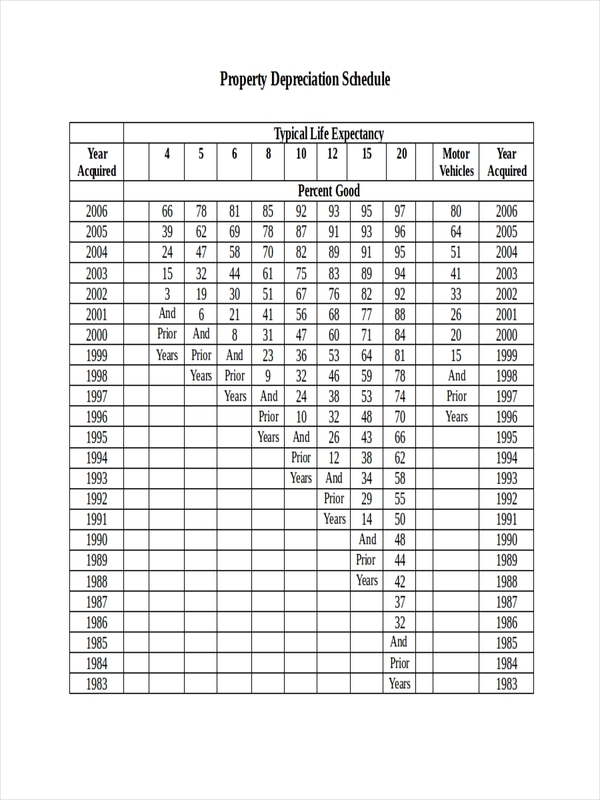 They also use this schedule to track the beginning and ending accumulated depreciation. How to Build a Depreciation Schedule? 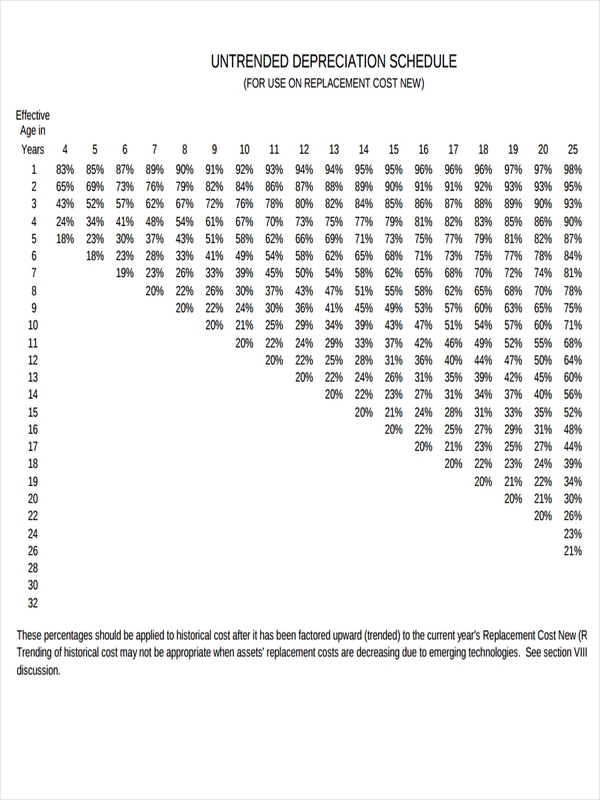 Here’s the basic information that appears on the depreciation sample schedule. Keep in mind that a company may use different depreciation methods for different types of asset. Cost. The price of the asset. Life. How long the asset will be used. Method. The method of depreciation used. Salvage value. The value of the asset if it gets replaced. Date purchased. The date the asset was obtained. Current Depreciation. The depreciation expense. Accumulated depreciation: The total amount of depreciation expense. 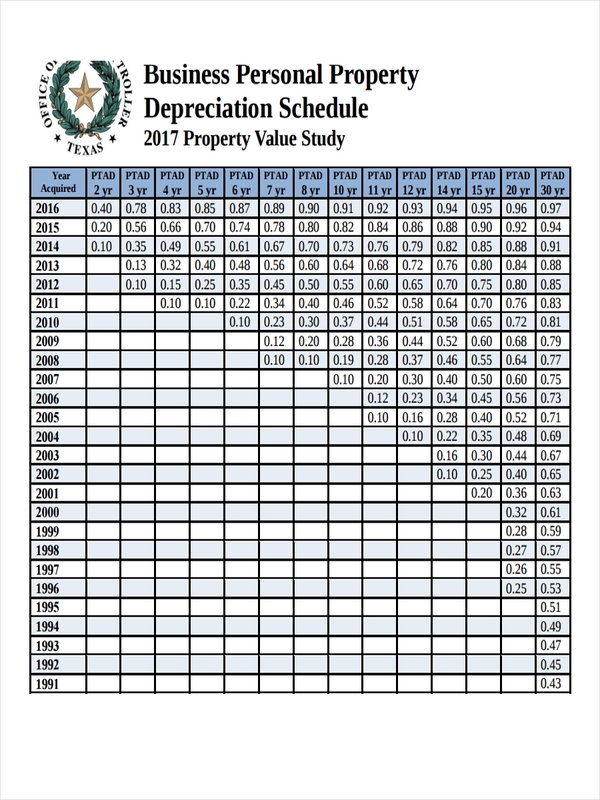 How Does Depreciation Schedule Work? Before we discussed how depreciation schedule works, we must have to define the capital assets. 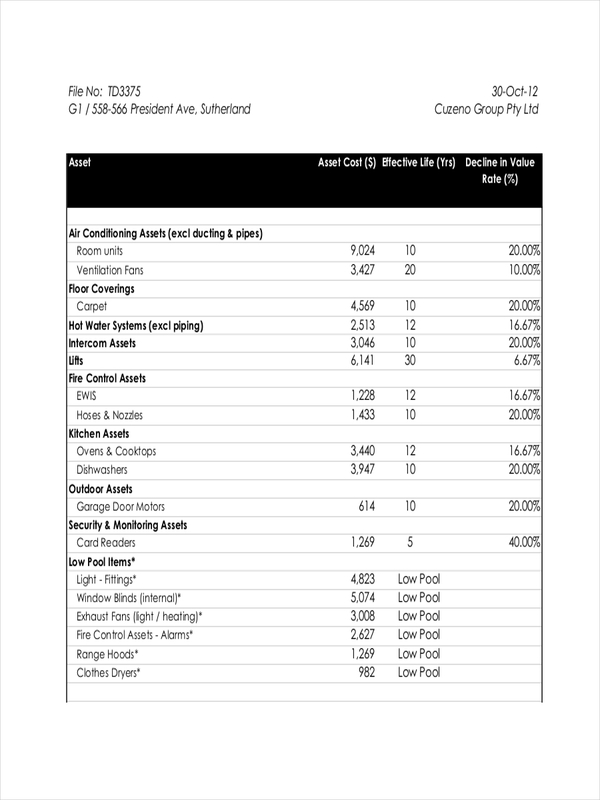 The capital assets are those assets inventory or expenses that are subjected to depreciate, such as a car, electronic equipment, office furniture, computers, and even physical office space, because they can lose their value over time. The depreciation schedule works by determining the assets’ “useful life”. This refers to the period of time where the assets preserve its value. For example, if you bought an office desk, that desk should depreciate over a period of nine years. When you put it on the depreciation schedule, the item’s value would be divided by the number of its useful years. That is when you will find out its yearly deduction. So then, if that office desk is worth $900 and you bought it in January 2010, the annual yearly schedule deduction for that item that you can obtain is $100 until the useful life of that office desk ends on January 2019. Here’s the difficult part, say for example you decided to sell that office desk in the middle of its useful life, and because it is stated in the law, you are subjected to taxes on the sale.